Eliminate buddy punching and take control of your payroll. 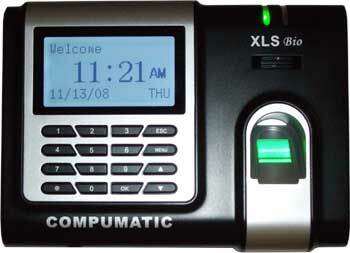 The XLS Bio offers the best “bang for the buck” for biometric fingerprint time keeping systems. The XLS Bio has a top quality 360 degree optical fingerprint sensor to positively identify the employee and the special coated optic provides more accurate fingerprint reading with wet or dry fingers. The built in keypad also allows for pin entry and supervisor functions at the terminal. 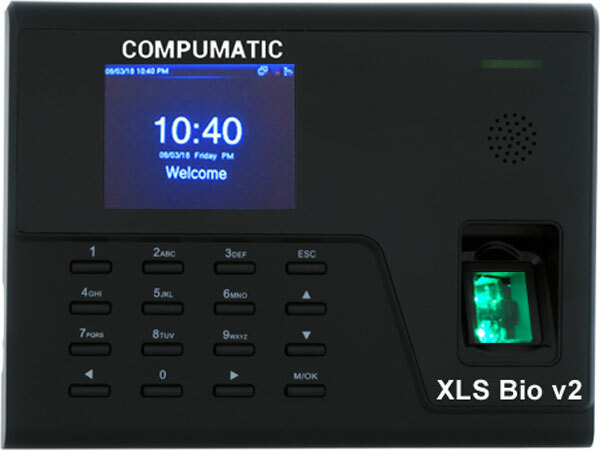 Multiple communication methods, including TCP/IP Ethernet (6' cable included), RS232 serial (cable sold separately), and USB flash drive (drive and cable sold separately), make the XLS Bio a versatile clock, easliy implemented in a wide variety of environments. The included CompuTime101 software offers easy time keeping management. Eliminate buddy punching and take control of your payroll. The next generation XLS Bio v2 offers upgraded hardware and new features. The new upgraded optical fingerprint sensor and enhanced algorithm improves reading of wet, dry, and rough fingers. The new color LCD display has an easy to use menu interface. The built in keypad also allows for pin entry and supervisor functions at the terminal. Multiple communication methods, including wired TCP/IP Ethernet (6' cable included), WiFi Wireless TCP/IP Ethernet (New Feature), and USB flash drive (drive sold separately), make the XLS Bio v2 a versatile clock, easliy implemented in a wide variety of environments. A built-in relay (New Feature) can trigger an external bell or buzzer (sold separately) or a magnetic door lock. The included CompuTime101 software offers easy time keeping management. Eliminate buddy punching and take control of your payroll. 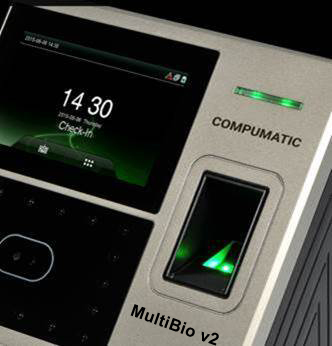 The next generation MultiBio v2 with upgraded hardware and new features offers the best technology for biometric time keeping systems. The MultiBio v2 uses dual HD camera technology with an industry leading FaceID algorithm to capture a 3D facial image map for fast and accurate biometric identification, and its infra-red light source enables face identification in poorly lit environments. The MultiBio v2 also has a 360° optical fingerprint sensor w/ enhanced algorithm for positive reading of wet, dry, and rough fingers. The scratch resistant optic virtually eliminates maintenance and wear. Additionally the MultiBio v2 includes an RFID reader, employees can punch with a durable proximity badge card or keychain fob (badges and fobs sold separately). Finally, employees can be assigned a password to punch with pin+password using the touch screen interface. Multiple communication methods include TCP/IP Ethernet (both wired and wireless WiFi included) and USB flash drive (usb drive not included) making the MultiBio v2 a versatile clock, easliy implemented in a wide variety of environments. The included CompuTime101 software offers easy time keeping management and reporting. Eliminates costly buddy-punching. 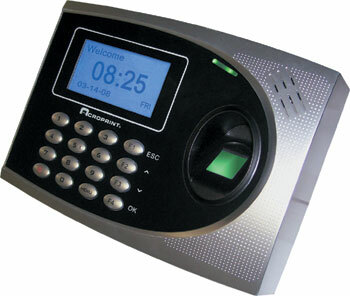 Employees clock in and out with a simple finger-scan, finger-scan and PIN, PIN and password or via PC-punch. 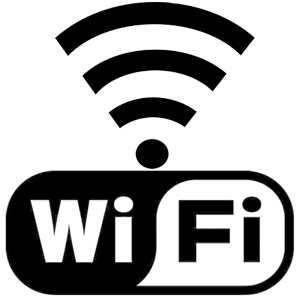 Terminal can be configured to display in your choice of English, French or Spanish. This complete solution includes: timeQplus Network software for 125 employees (expandable up to 250 employees) and one TQ600B finger-scan biometric terminal kit. Eliminate buddy punching and take control of your payroll. The Multi-Bio MB1000 offers the best technology for biometric time keeping systems. 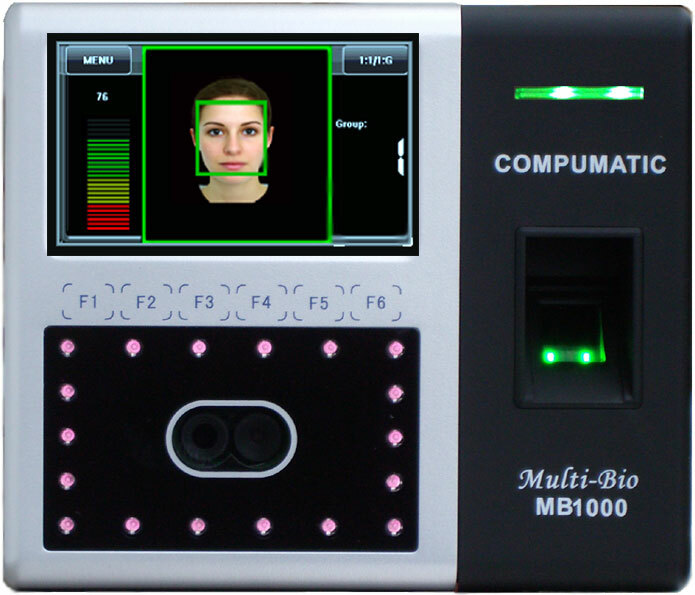 The MB1000 uses dual HD camera technology to capture a 3D facial image map for fast and accurate biometric identification and its infra-red light source enables face identification in poorly lit environments. The MB1000 also has a top quality 360 degree optical fingerprint sensor. The built in keypad also allows for pin entry and supervisor functions at the terminal. Multiple communication methods include TCP/IP Ethernet and USB flash drive (usb drive not included), make the Multi-Bio MB1000 a versatile clock, easliy implemented in a wide variety of environments. The included CompuTime101 software offers easy time keeping management. 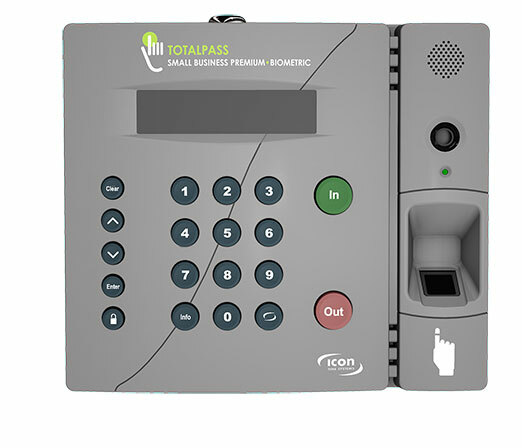 TotalPass Biometric time clock introduces an all-new, technologically advanced line of products to the Icon Time Systems family. The TotalPass Biometric supports the next generation of fingerprint and camera technology, with 100% photo verification, making �buddy-punching� virtually a thing of the past. In addition, the TotalPass Biometric features a game changing and patent-pending employee self-enrollment system, that streamlines the enrollment process, and minimizes overhead for the administrator. With software pre-built into the time clock, the TotalPass Biometric uses a browser based interface that allows small businesses to access and manage time cards from a local workstation, from multiple computers on a network, or even remotely� without any monthly fees. With no software to install or maintain, there is never a risk of operating system incompatibility, or conflicts with current, or future technology purchases. TotalPass is cross-compatible with most platforms: Windows, Apple iOS and Linux and comes with multiple ways to manage multiple time clocks with one login. Specially designed Web Punch Entry and can track employees that work off site or remotely and allows employees to clock IN/OUT from any web enabled device. Built-in email alerts automatically notify manger when there is a failed fingerprint scan with photo verification alerts. The TotalPass Biometric interfaces With most popular payroll applications including QuickBooks, Paychex Online Payroll and ADP desktop software.